John M. Comiskey is an associate with extensive experience in commercial, construction, insurance, and employment related litigation. He represents construction managers, general contractors, and subcontractors in litigation involving construction contract disputes, mechanic’s lien foreclosure claims, performance and payment bond claims, construction site liability and construction defect claims, property damage claims, and insurance coverage disputes. 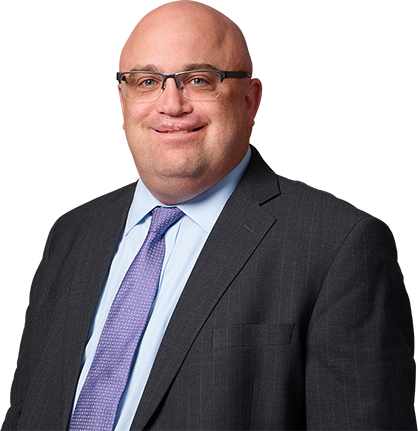 Mr. Comiskey has also represented clients in a wide range of other litigation, including the defense of legal malpractice claims, premises liability claims, and products liability claims. He has also defended employers against employment discrimination and wrongful termination claims. Additionally, Mr. Comiskey successfully represented a now-retired professional athlete in litigation involving a dispute over ownership of trophies and medals won during her career. Mr. Comiskey has also written and argued numerous appeals that resulted in favorable rulings for his clients. Additionally, Mr. Comiskey has been an adjunct instructor in the Criminal Justice Department at Nassau Community College, and has served as a volunteer judge for several legal writing professors at Hofstra Law School critiquing appellate oral arguments presented by law students. He serves as an alumni representative of Boston College to several Nassau County high schools.